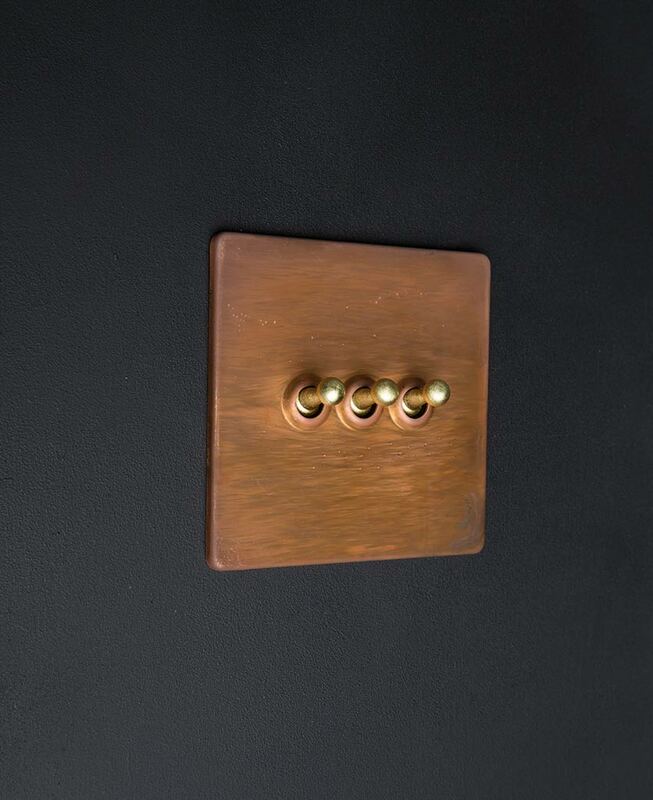 Our copper triple toggle switch is a gorgeous, stand-out light switch. You don’t see switches like this very often and even among these, each one is unique. Each copper black plate has individual patterning and colours that perfectly contrast with the sleek black toggles. These stunning designer switches are a great way to add interest to matt painted walls, especially if you’re not into unnecessary adornments and ornamentation. Functional and fun. These switches are made of metal so no flimsy plastic toggles here. Just sturdy toggles that are a delight to flick on and off. Our copper triple toggle switch features a distressed copper plate and retro toggles in a choice of black, white, silver or gold. Its fittings are designed to be hidden for the perfect finish, and it’s LED compatible. The perfect switch for any style-conscious home. This unusual light switch is the epitome of retro industrial style. 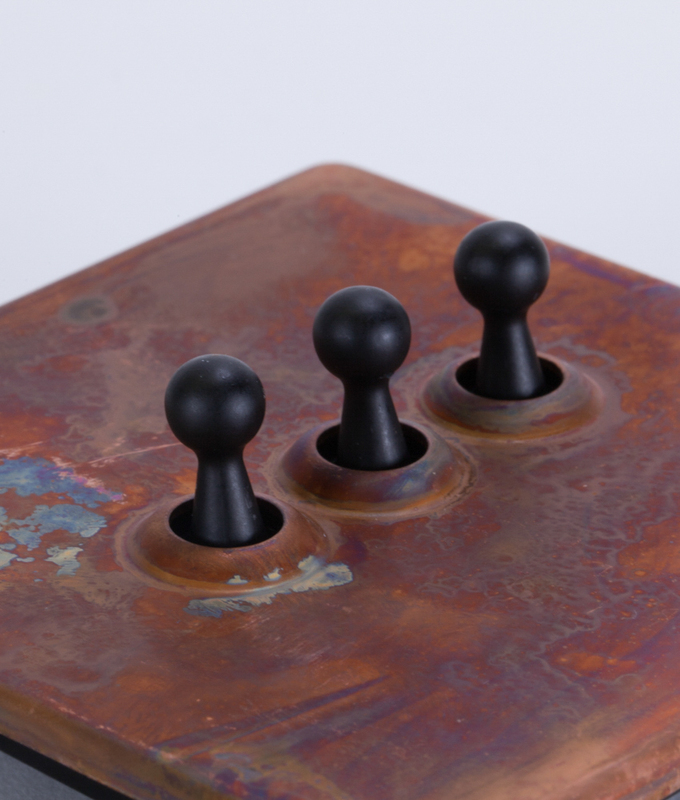 Industrial represented by the rugged, aged effect copper plate, and retro thanks to the very cool toggles. 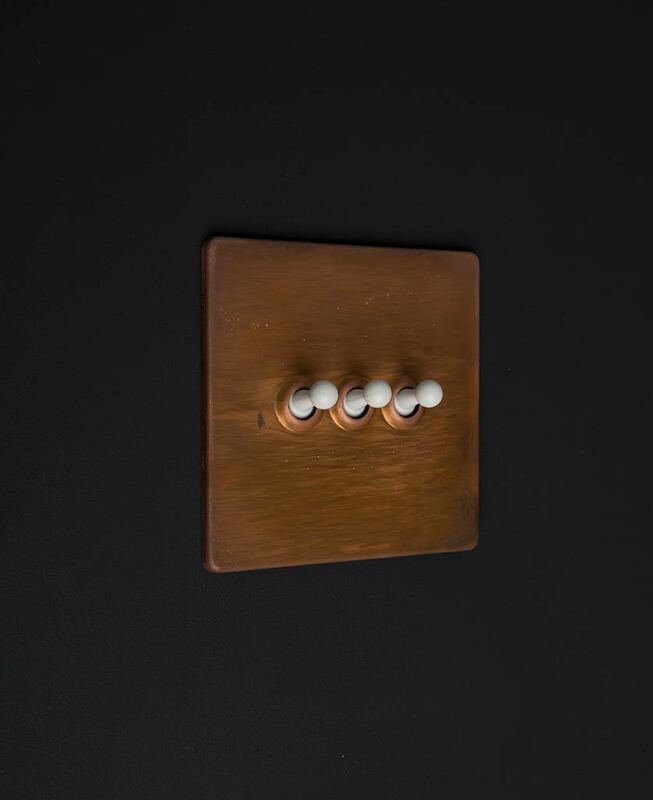 This toggle light switch is a mini style statement all of its own… It looks fabulous on white walls with matching electrical sockets to complete your look. 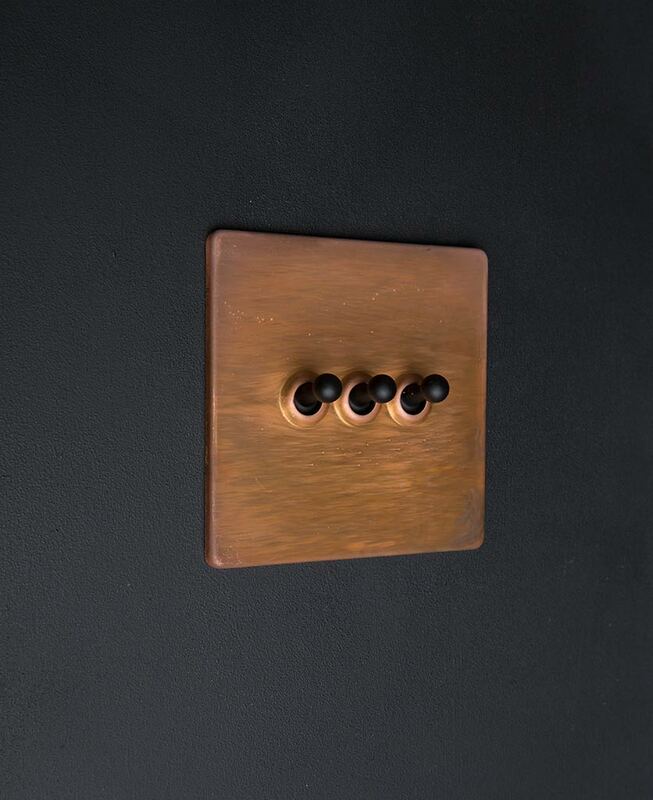 Our copper triple toggle switch is a gorgeous, stand-out light switch. You don’t see switches like this very often and even among these, every one is unique. Each copper black plate has individual patterning and colours that perfectly contrast with the sleek black toggles. This toggle is part of our copper switches and dimmers range. A whole selection of beautiful sockets, dimmers and toggle switches to finish off your industrial style home to perfection – we’ve even got fused spur switches and 45 amp cooker switches just in case they’re on show too.